There have been plenty of songs penned about the American Old West. But folksinger Colter Wall illuminates the history of a different locale: that of his home country of Canada. From “Saskatchewan 1881” to “Manitoba Man” and “Calgary Round-Up,” Wall explores the life of 19th-century cowboys living hard in the frigid Canadian plains. “My heart it lies far from the East or West Coast,” he sings in the opening “Plain To See Plainsman,” one example of choosing the first person to describe the life of cowboys. The stripped-down, acoustic approach leans on iconic Western images taken straight out of black and white oater flicks. Words such as “dogies,” “grub”, “chuck wagon,” “pistoleer,” “Bowie knife” “Wild Bill Hickok,” and “reckon” populate these songs, effectively transporting the listener to another time. Wall, with his booming yet emotional baritone, sings with windswept authenticity. Producer Dave Cobb focuses on Wall’s dark voice, adding wisps of bass, skeletal drums, ghostly pedal steel and Mickey Raphael’s crying harmonica to otherwise naked songs propelled by strummed and picked unplugged guitar. There is nothing to detract from the high-lonesome vibe created on selections such as “The Trains Are Gone,” an admission that the times he loves are no longer returning. On “Wild Dogs,” the narrator is the titular animal, perhaps as a metaphor for an outlaw. This is unadulterated troubadour music. Whether Wall is covering cowboy traditionals such as “Tying Knots In The Devil’s Tail” and “Night Herding Song,” or contributing an original trucker tune like “Thinkin’ On A Woman,” the vibe is one of an itinerant singer taking his music town to town. These performances could have come from an old Folkways album. 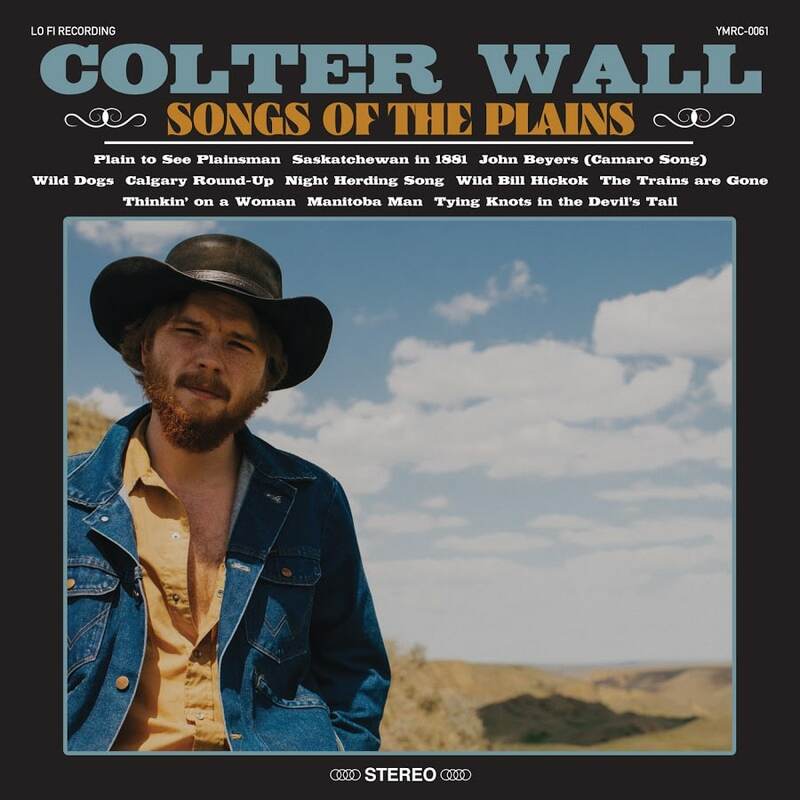 Colter Wall captures a long-forgotten time and place, keeping the cowboy folklore alive by reminding us that poignant songs sung by a superb singer will never sound outdated.